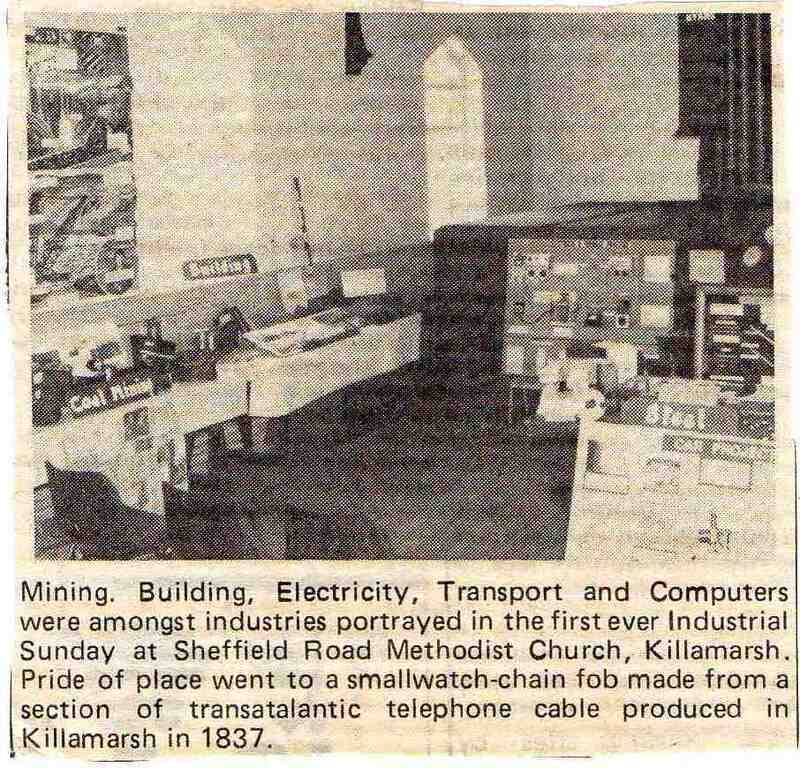 This page contains items of Killamarsh news in the past. 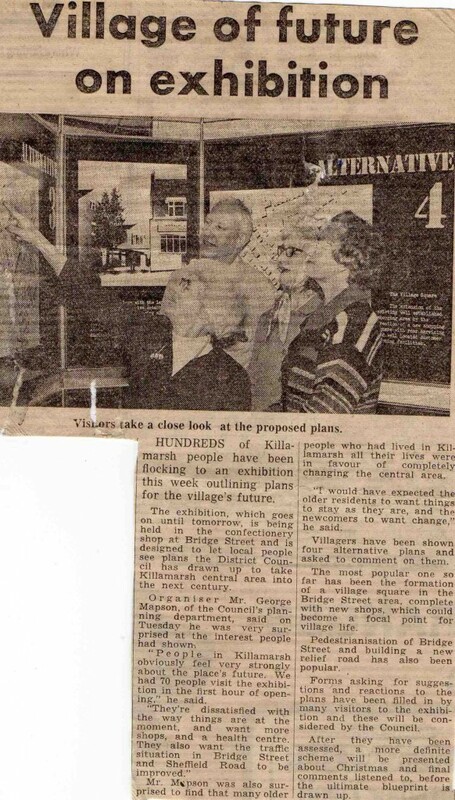 If you have any articles which you would like to include you can email them to secretary@killamarsh.org or send them by post to The Secretary, Killamarsh Heritage Society, 15 Manor Road, Killamarsh, Sheffield, S21 1BU. The following press cuttings are courtesy of David Nicholls. Thousands of mining families on the Derbyshire/South Yorkshire border are among then first to benefit from a playground paradise – thanks to coal mining. 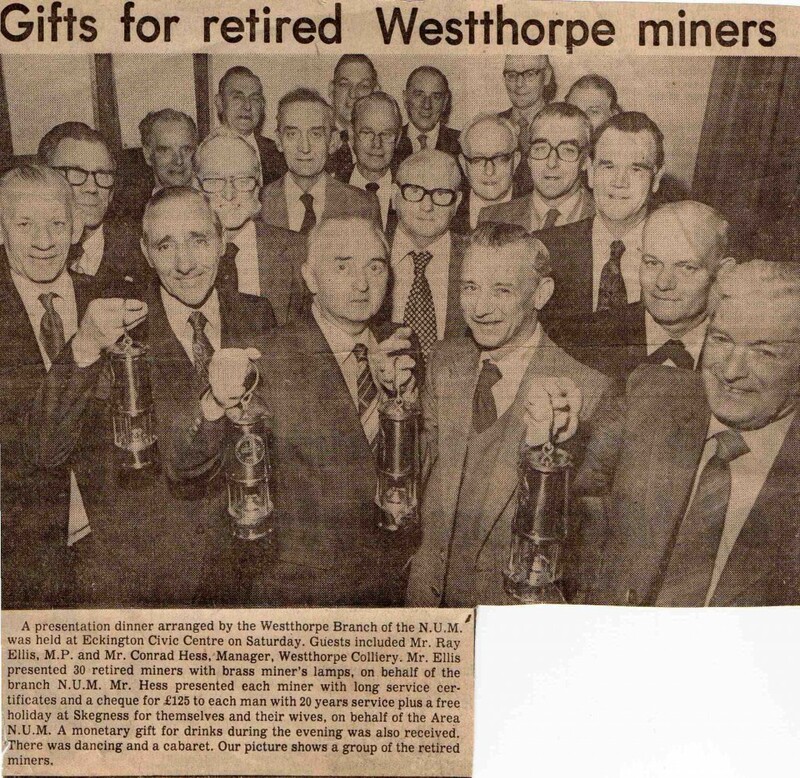 I’m sure a lot of our lads will take advantage of the facilities being created on their doorstep – and I can see more and more of them widening their sporting horizons to take up water sports in particular,” says Westthorpe Colliery NUM Branch Secretary Joss Pearson. A member of South Yorkshire Council, one of five local authorities involved in setting up the new 710 acre Rother Valley country park at Killamarsh, Mr Pearson was there for the big opening day. 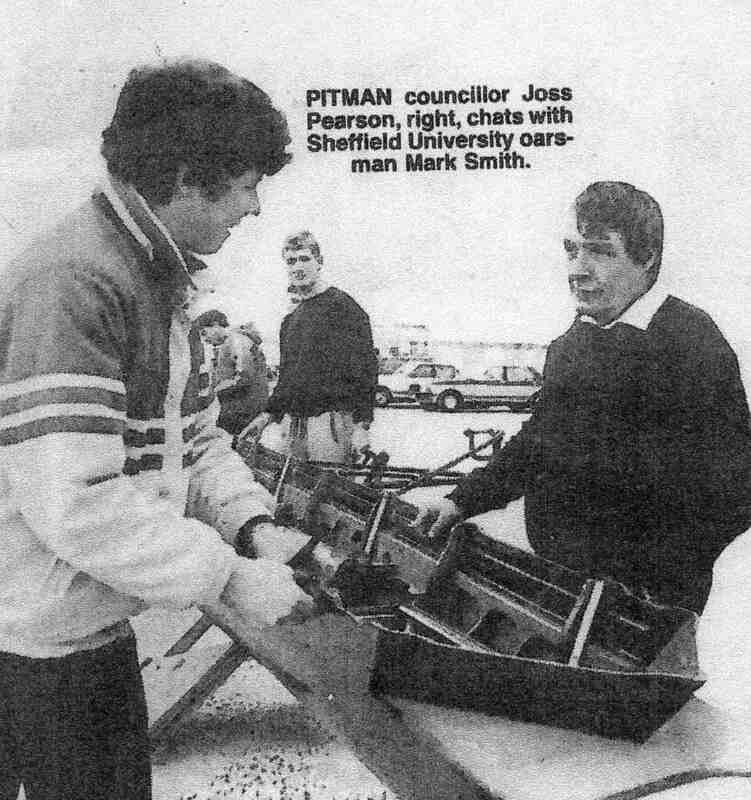 Watching members of Sheffield University rowing club preparing their boat to give a display on the main lake, he said: “It’s the only water sports centre for miles and should be a great boon to people wanting to take up boating, canoeing, windsurfing and angling. “It would never have come about but for the opencast mining, because the cost of creating such a place from scratch would have been prohibitive. The huge benefits are twofold – the coal taken out has been a valuable asset for the country and the work has left the area a much better place. “Swamps and bad land has been transformed into a terrific leisure facility for the whole region. The authorities involved deserve a lot of credit for recognising the possibilities and seeing the plan through. The Meadowgate opencast site produced nearly 1.75 million tonnes of high-quality coal from three seams and the follow-up landscaping and restoration, including realignment of the River Rother, got the leisure park off to a flying start. Four lakes cater for most water activities and eventually a nature reserve will be established. With a visitor centre and picnic areas future development will cater for sports pitches, camping, golf, shooting, archery and other activities. The project has been assisted with a £1 million grant from the Countryside Commission, who chairman Derek Barber said on opening the park: “There is no doubt that rapidly-advancing technology is going to erode the job situation to a perhaps greater extent than many of us thought. 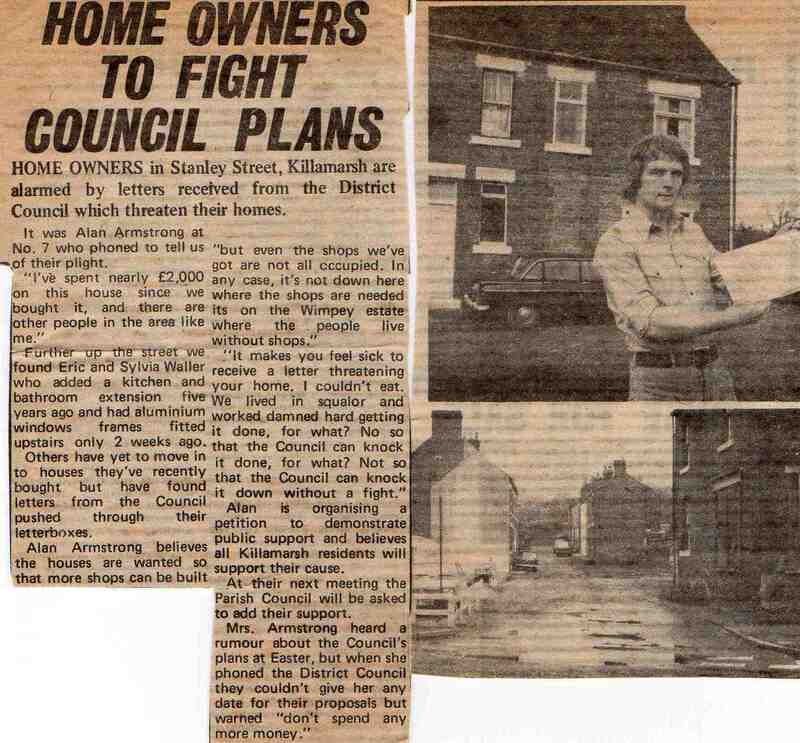 THE FOLLOWING ITEMS ARE PRESS CUTTINGS COURTESY OF ALAN ARMSTRONG. (Above): Helping to raise money for their 1992 appeal, the local Royal British Legion organised a Poppy Dance at Killamarsh Leisure Centre. Pictured are some of the many local residents who attended the event. 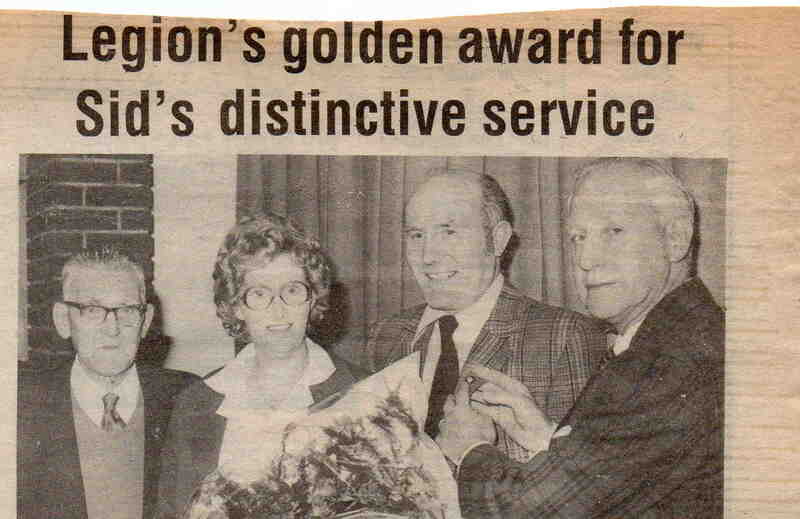 Above: Pictured receiving the Royal British Legion Gold Badge for long service is Mr Sid Parsons (second from right) from Mr Charles Armstrong, Chairman. Mrs Parsons was presented with a bouquet. Left is President Mr A. Spooner. 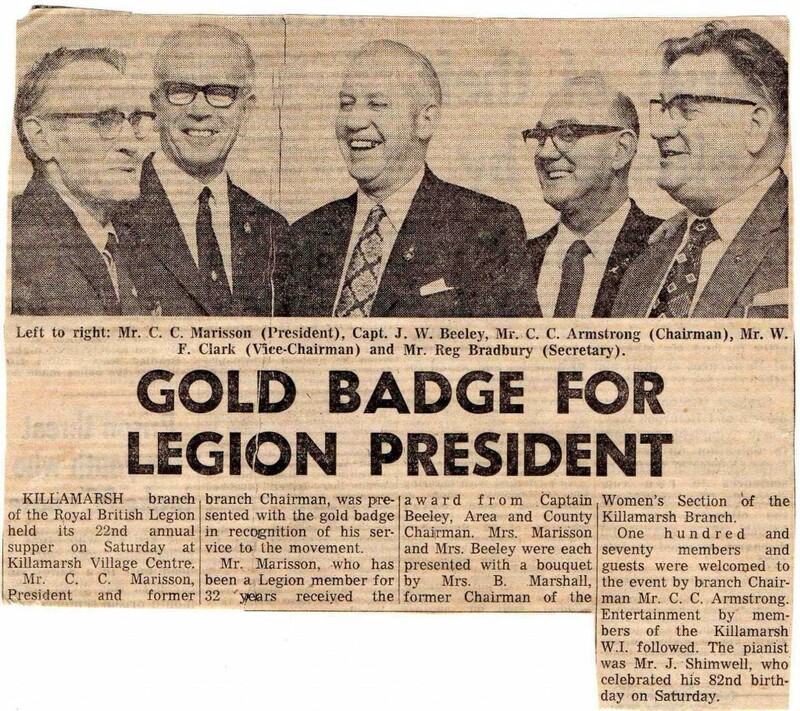 Vice-President of the Killamarsh Branch of the Royal British Legion, Mr Sid Parsons, has become the fourth member of the branch to receive the Legion’s Gold Badge. 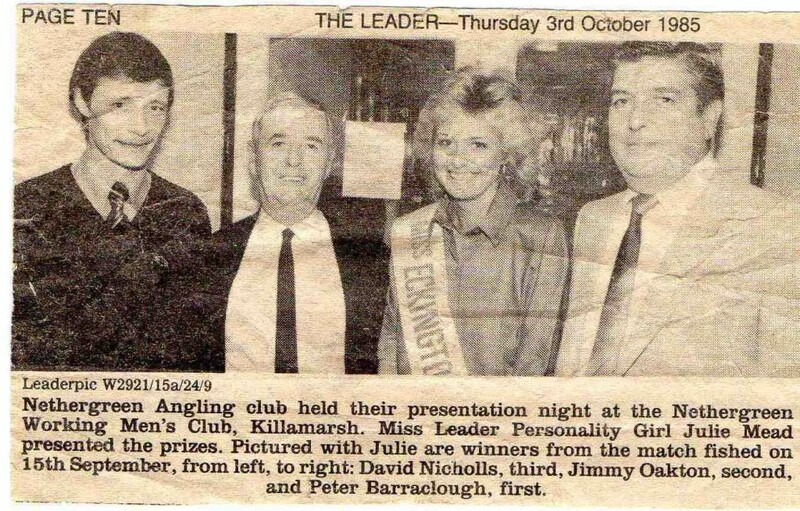 Mr Parson, who is Chairman and Managing Director of Parsons Group (High Moor) Ltd., is Secretary and Treasurer of the Branch and was one of the members responsible for revitalising the Branch when membership dwindled to five 10 years ago. There is now a membership of nearly 100, with about two-thirds still being ex-servicemen. The others are among the growing numbers of associate members who have not been in the services. Mr Parsons received his Gold Badge at the Branch’s annual pie and pea supper. Presenting it was the Chairman, Mr Charles Armstrong. The award for ‘distinctive service’ was given by the Legion’s National Executive Council and was accompanied by a personal letter from the General Secretary. Mr Parsons, who is 51 and live at Mansfield Road, Killamarsh, has been a member of the Legion for 34 years. During the latter par of World War II he was in the RAF and later returned to the building trade and then into business with his brother. He is married with four children and three grandchildren. On Monday last an inquest was held at the Traveller’s Rest, High Moor, before Mr Coroner C.G. Busby, touching the death of a collier named Benjamin Booth of Killamarsh, who met with an accident whilst at work in the West Kiveton Pit on the 18th of December last, and who died on the 26th January. Harriett Booth identified the body as that of her late husband, aged 45 years, who died on the 26th of January. The deceased had never been an ailing man until the 18th of December, when he was brought hom suffering from a broken leg. 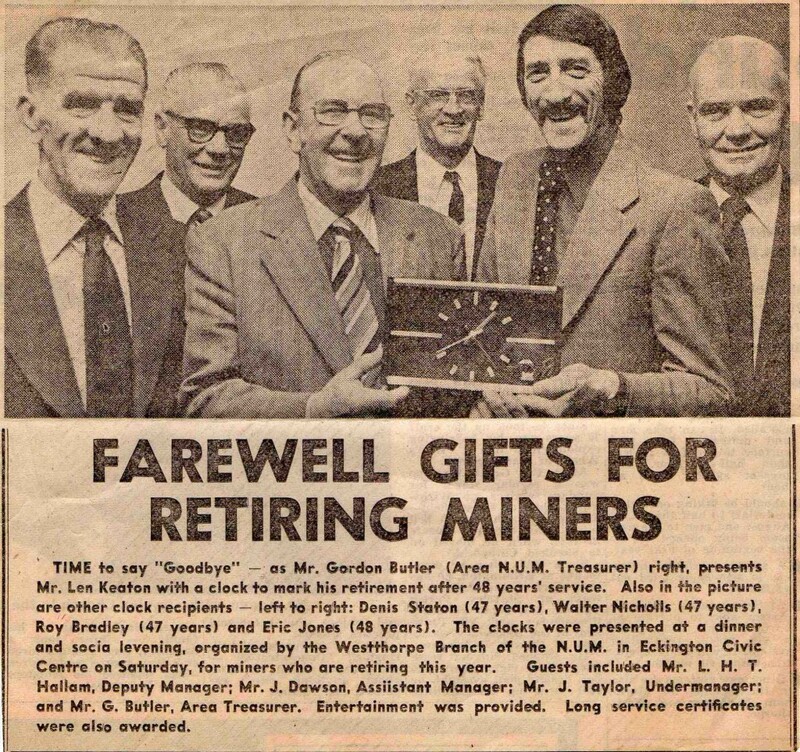 He had met with an accident whilst working at the West Kiveton Colliery. On the 12th of January the witness called in Dr Robertson as the deceased complained of pain in the foot. The deceased seemed to be going on well until lately when the inflammation went to his body and he died from the effect of it. The deceased was quite sensible, and attached no blame to anyone for the accident. Robert Wallker, collier, spoke to of working with deceased in December last. The deceased had hole about a foot away from the sprag, and was in the act of holing, when a piece of coal – about half a hundredweight – fell upon him, and struck hom on the left leg, which broke it. John Alexander Robertson, M.D., spoke to attending the deceased on the 13th of January. He did not complain of pain in his leg, but in his chest and left side. The witness examined his chest and found a good deal of consolidation in the left and right lungs. He was suffering from a congestion of the the lungs. Undoubtably the effect of the accident had been to accelerate the deceased’s death. The fact of him lying on his back in bed would add to the disease. Without the accident the deceased would in all probability have been alive now. The jury returned a verdict that the deceased had died through congestion of the lungs accelerated by injuries received by a fall of coal in the mine. 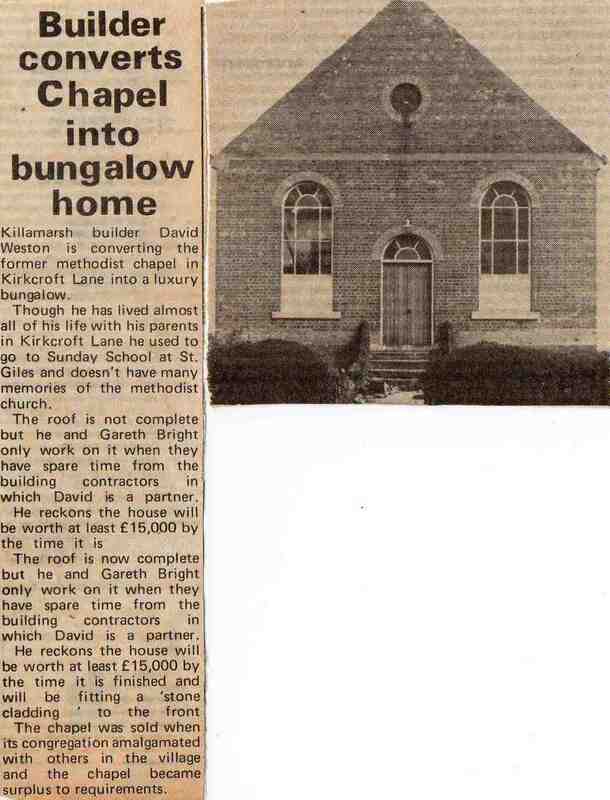 ARTICLE FROM ‘COAL NEWS’ IN 1983. COURTESY OF JOSS PEARSON. Re: ‘Mr John Shimwell’ what a legend. 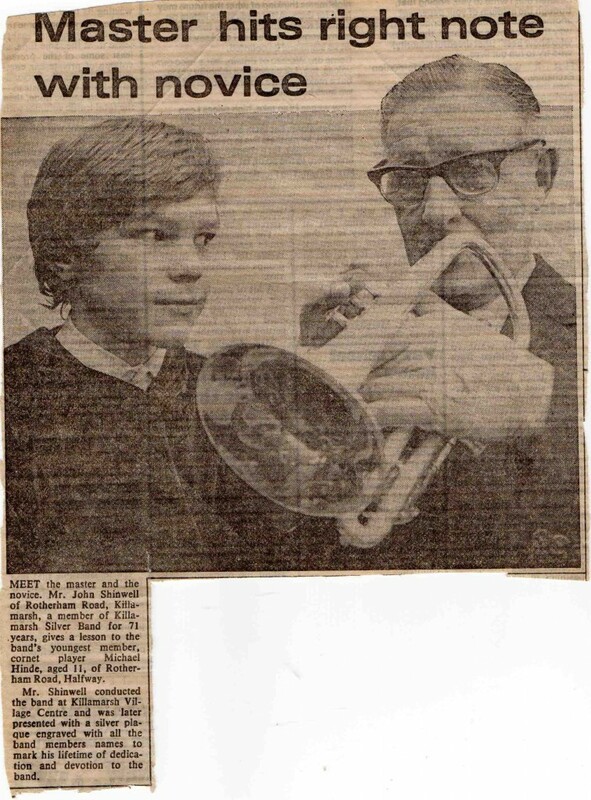 I used to have trumpet/cornet/trombone lessons once a week. He always had a fag in and never took it out of his mouth, and there would be 2″ of hash that he would just blow off. He used to hum a tune and write the notes down for me to practice for the next weeks lesson.